Discussion transcript: Science and the Bible: are they incompatible? 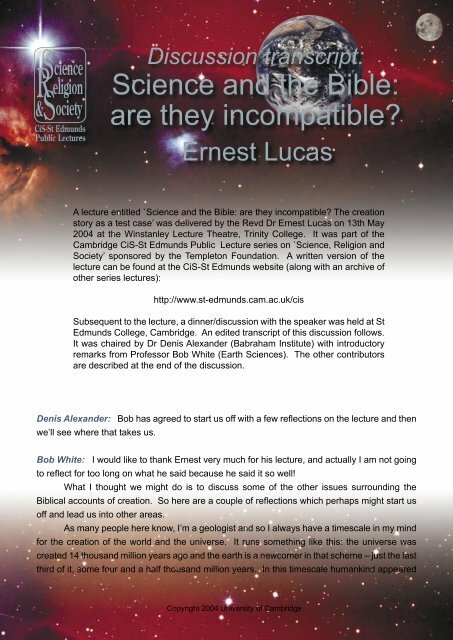 Ernest Lucas A lecture entitled `Science and the Bible: are they incompatible? The creation story as a test case’ was delivered by the Revd Dr Ernest Lucas on 13th May 2004 at the Winstanley Lecture Theatre, Trinity College. It was part of the Cambridge CiS-St Edmunds Public Lecture series on `Science, Religion and Society’ sponsored by the Templeton Foundation. A written version of the lecture can be found at the CiS-St Edmunds website (along with an archive of other series lectures): http://www.st-edmunds.cam.ac.uk/cis Subsequent to the lecture, a dinner/discussion with the speaker was held at St Edmunds College, Cambridge. An edited transcript of this discussion follows. It was chaired by Dr Denis Alexander (Babraham Institute) with introductory remarks from Professor Bob White (Earth Sciences).  The other contributors are described at the end of the discussion. Denis Alexander: Bob has agreed to start us off with a few refl ections on the lecture and then we’ll see where that takes us. Bob White: I would like to thank Ernest very much for his lecture, and actually I am not going to refl ect for too long on what he said because he said it so well! What I thought we might do is to discuss some of the other issues surrounding the Biblical accounts of creation. So here are a couple of refl ections which perhaps might start us off and lead us into other areas. As many people here know, I’m a geologist and so I always have a timescale in my mind for the creation of the world and the universe. It runs something like this: the universe was created 14 thousand million years ago and the earth is a newcomer in that scheme – just the last third of it, some four and a half thousand million years. In this timescale humankind appeared Copyright 2004 University of Cambridge.